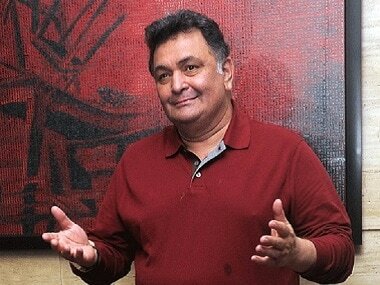 Rishi Kapoor has had an eventful month and the way he is dealing with it is more catastrophic than the tragedy itself. The leader of the counter-nepotism brigade of Bollywood, Kapoor had earlier taken to Twitter to rebuke Rahul Gandhi over his speech at University of California, Berkeley. File image of Rishi Kapoor. Now, in another development, the actor is being trolled on Twitter for sending an abusive direct message to a woman who had shared a meme made on the actor's 'dynasty' comment. First, let's have a look at what went transpired between Gandhi and Kapoor. Gandhi, at a recent interactive session was asked whther Congress was a dynastic party. He responded by saying that India, more or less, runs on dynastic politics, and that the trend was seen across fields (not just politics). He further cited Abhishek Bachchan as an example — pointing out that the junior Bachchan's career in films is a product of the same practice. Kapoor took offense to his statement (which was not aimed at him in the first place) and went on to school the Vice President of Congress. 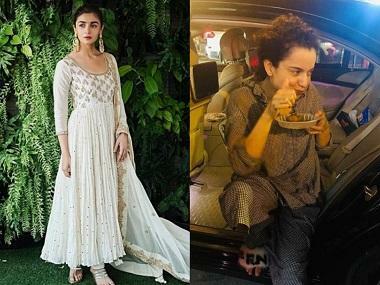 Shivani Channan, made a meme out of Kapoor's statement which did not go down well with the senior actor and he sent her a message saying, "F**k you, b*tch. Sir glass mein hai ya aaj direct bottle se maar rahe ho neat ? Look At Roshan Sr. Dishing out blockbusters for Roshan Jr. Rather than drinking non stop please help build ur sons career. Among the other things that he has been called after the incident, 'casteist' stands out. Not because we say he is one, but because it rings a bell. Shashi Tharoor, in an old piece for Huffington Post, had mentioned how Kapoor was the one who made him aware of 'caste' as a concept, for the first time in his life. The incident is old and the senior actor has probably forgotten about it considering the things he says and how often he says them. This is not the first time he has sent abusive DMs to people on Twitter, specifically women. The question is, can anyone stand up to Chints without receiving his wrath?